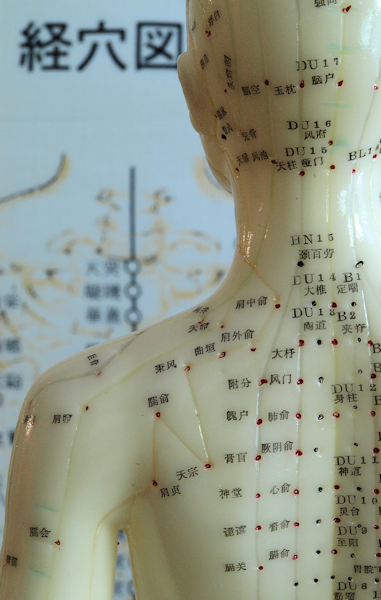 Acupuncture is incredibly effective and well-rounded when it comes to relieve pain. Any form of pain from sports injuries to arthritis to menstrual cramps can be helped with acupuncture. Headaches and migraines can be caused by many triggers, such as allergies, hormone imbalance, stress and weather change or have no pattern at all. A combination of acupuncture and massage can relieve most headaches during an attack. However, Chinese herbs, regular acupuncture, and dietary changes can help prevent headaches by fixing the underlying imbalances causing them. People who work on the desk for long hours or experience high stress often suffer from neck and shoulder pain. Our patients at the Chenzen Wellness Centre find that acupuncture is a great way to relieve muscle tension and spasms, promoting relaxation in all area of the body. Acupuncture is widely accepted now as an effective treatment for back pain. From acute sprains to long-term chronic back pain, acupuncture can be a safe and drug-free method to relieve pain and prevent reoccurrence. Acupuncture has been shown to reduce inflammation in the joints, which makes it a safe and effective treatment for suffers of both osteoarthritisand rheumatoid arthritis. It has also been shown to regulate the immune system, which can also aid in the management of rheumatoid arthritis.. Rapid healing and high restoration of the function are crucial for an athlete with an injury. Adding acupuncture to the sports injury healing plan can reduce the recovery time, getting them back in the game faster. Acupuncture can also be used to relax muscles and prevent Repetitive Strain Injury (RSI). Many professional sports teams keep an acupuncturist on staff. Andy at the Chenzen Wellness Centre has experience treating a variety of injuries linked to different sports from Olympian shooter, Marathon runner, world champion cyclist to amature/weekend worriors. As a keen cyclist, Andy has a special interest in treat cycling injuries. Nerve damage can result from a variety of causes, including impingment injuries, infections, and exposure to toxins. Symptoms of nerve damage may include pain, tingling, burning and loss of sensation. Treatment for nerve damage should first include assessing the underlying cause with GP or specialist if possible. Acupuncture can help regenerate nerves and can be an effective adjunct treatment to these protocols or as a stand alone treatment if no other intervention is needed.